अतुल ऑटो ने 30 सितंबर, 2011 के समाप्त वर्ष के लिए परिणामों की सूचना दी है. 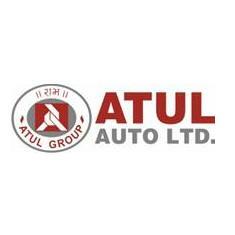 Atul Auto has reported results for the second quarter ended September 30, 2011. The company’s net profit for the quarter under review has surged by 73% at Rs 5.06 crore as compared to Rs 2.92 crore for the corresponding quarter of the previous year. The company’s sales increased by 54% in the second quarter of 2011-12 at Rs 82.65 crore against Rs 53.71 crore for the corresponding period in the last fiscal.